Ada pertanyaan untuk An Binh 2 Hotel? Terletak di pusat Distrik 11, An Binh 2 Hotel adalah tempat ideal untuk menelusuri Kota Ho Chi Minh. Dari sini, para tamu dapat menikmati akses mudah ke semua hal yang dapat ditemukan di sebuah kota yang aktif ini. Para pengunjung ke hotel ini dapat menikmati berjalan-jalan di obyek wisata populer kota ini: Taman Dam Sen, Dam Sen, Pagoda Giac Vien. 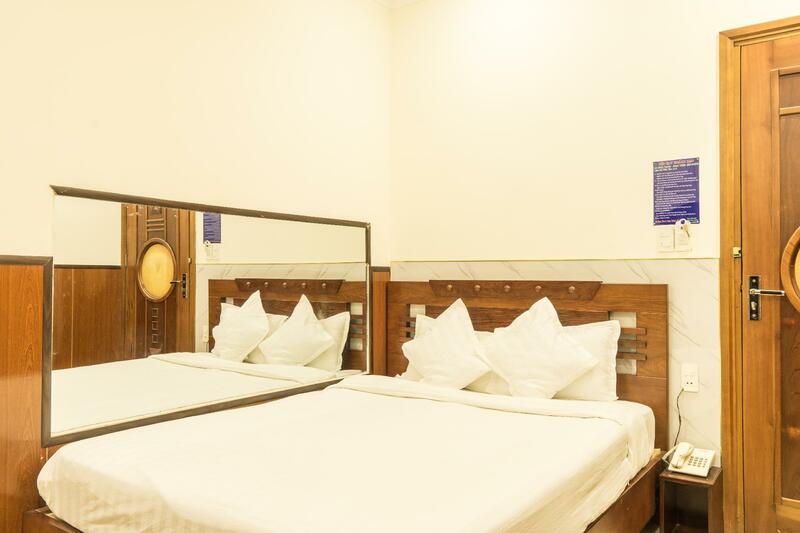 An Binh 2 Hotel juga menawarkan berbagai fasilitas untuk memaksimalkan pengalaman menginap Anda di Kota Ho Chi Minh. Ketika menginap di properti yang luar biasa ini, para tamu dapat menikmati WiFi gratis di semua kamar, resepsionis 24 jam, check-in/check-out cepat, Wi-fi di tempat umum, tempat parkir mobil. Sebagai tambahan, semua kamar tamu memiliki sejumlah kenyamanan seperti televisi layar datar, akses internet - WiFi, akses internet WiFi (gratis), AC, meja tulis untuk menyenangkan semua tamu. Disamping itu, hotel memiliki berbagai pilihan fasilitas rekreasi yang menjamin Anda melakukan bermacam hal selama menginap. 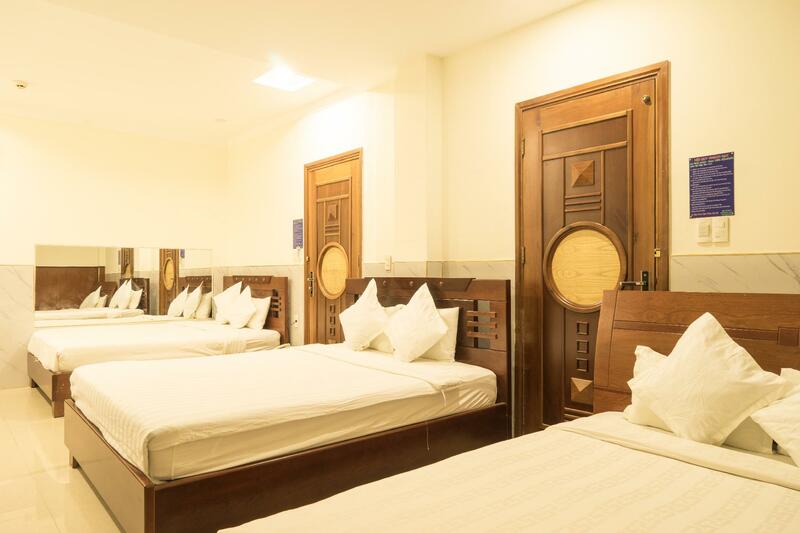 An Binh 2 Hotel adalah tempat menginap ideal bagi para wisatawan yang mencari pesona dan kenyamanan dari Kota Ho Chi Minh. Hotel was good to stay and near to needed locations. This was best hotel for affordable Budget. 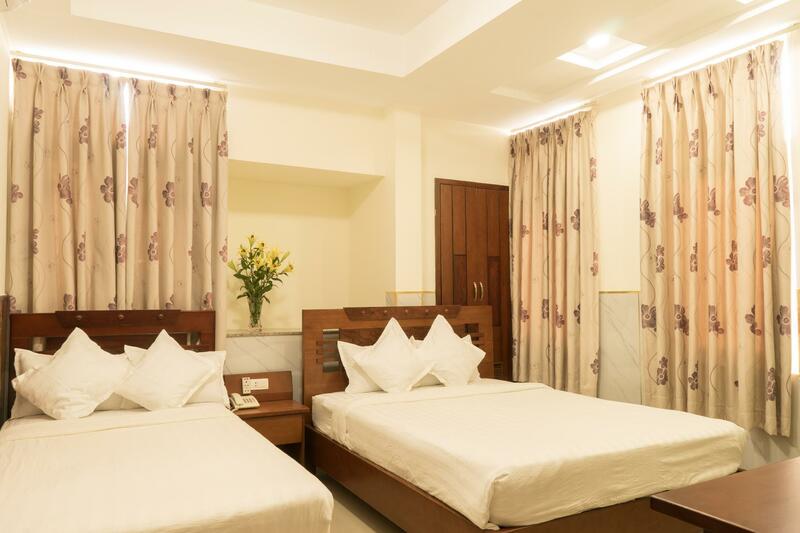 This was Simple and Best hotel for affordable budget. Sorry I am disappointed with the conditions and facilities of the hotel. I am Vietnamese and i stayed for three nights at this hotel with my husband.We changed three rooms to find a suit room but they were all the same. First, all three rooms we stayed having bugs and small animal. Second, toilet is stinky and smell.Hotel says free breakfast but you have to pay for your drink. That's a such kind of free breakfast??????? And breakfast has only bread and opla. There is no any other choice for bkfast. Also, the price is much more expensive compared to other hotels in this area. I've never stayed in this such kind of terrible hotel like it. I will never choose this hotel again!!!!!!!!! more english speaking staff, but yet the place is great. We stayed at the hotel for two weeks on our vacation. The room is pretty small but ok. The main problem we had was the hot water. It didn't always work especially at night. The Wifi connection is very weak. The staff don't really speak English. Since I speak both Vietnamese and English, it was not an issue for me. However, I saw many foreigners who could not communicate with staffs and I was able to help them. Hopefully, they can get at least one who can speak English. Overall, it wasn't that bad of a hotel. I'll stay again just because the price is affordable and it's close to my relatives. I booked 1 week stay in this hotel because it was cheap, but that was the only good thing about it. It should be called a motel rather than 2 star hotel. The room was small, has no window. The room & bathroom was not clean, I found the cups in the bathroom very dirty. You only has warm water if you are lucky. The staff was OK, friendly but was not professional. 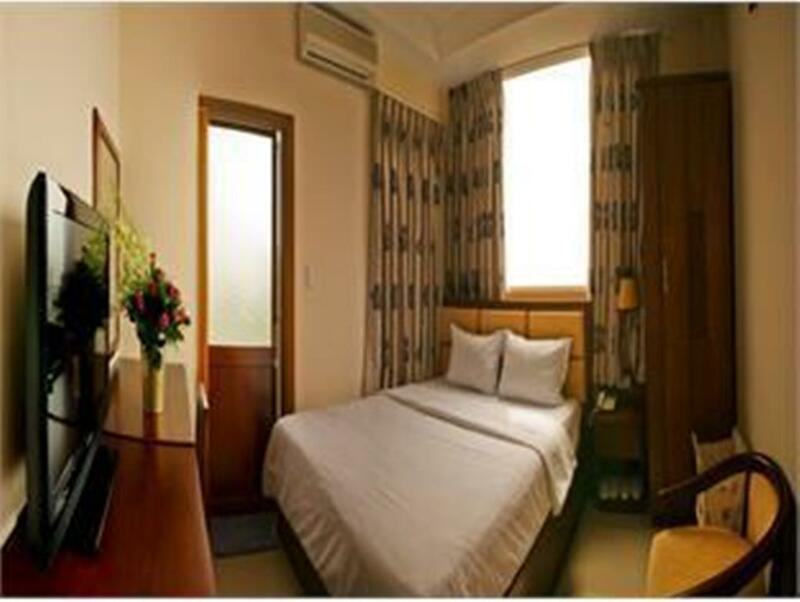 The hotel is good for solo traveler but is not recommend for couple as the rooms is a bit small compare to another hotel around that area but location is good which you can find local food n souvenir by walking about 5-10 minutes .. Receptionist n bellboy is friendly and able to guide you to the nearer attraction. Its was a good hotel at night, everything from ok to good except the fridge not working, i probly need to plug the power cable. The reception guy did smile to us that make them not look scary anymore ^^, i would come back to this hotel if i travel again in future. The hotel is quite clean and you get what you paid for. There are a few things that I don't like and they are: 1. Air-Con needs to be upgraded as it wasn't cool enough 2. I don't like the idea of handing over my passport and room keys to the receptionist to hold until I check-out. 3. No one in the hotel can speak English at all. Luckily we can speak Vietnamese. I have the worst stay. I didn't even stay here because there's water interruption, its too far from district 1 where all the life in HCM is. Don't ever stay here. Not a good idea. There's plenty of hotel in District 1 which what I got after ;eaving this cursed hotel!